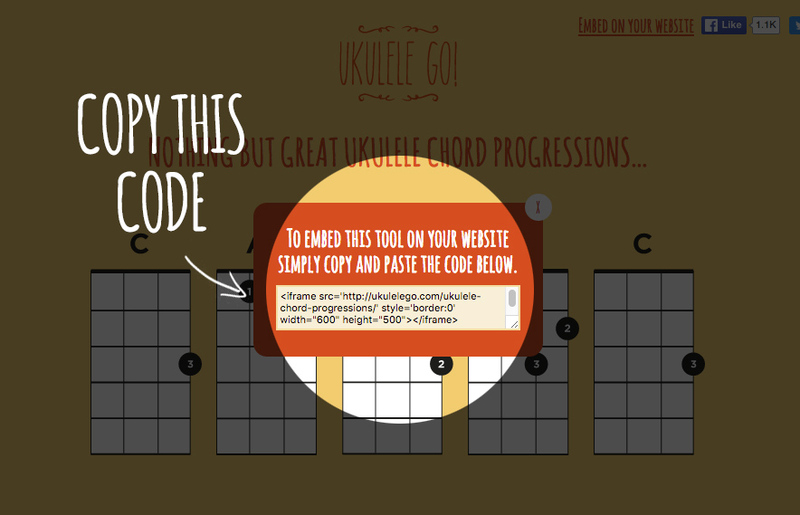 I found myself on a long train journey earlier this week so I spent some time making the two ukulele tools (Find Ukulele Chords and Great Ukulele Chord Progressions) that I recently built easy to embed for anyone that might want to add them to their own ukulele websites. 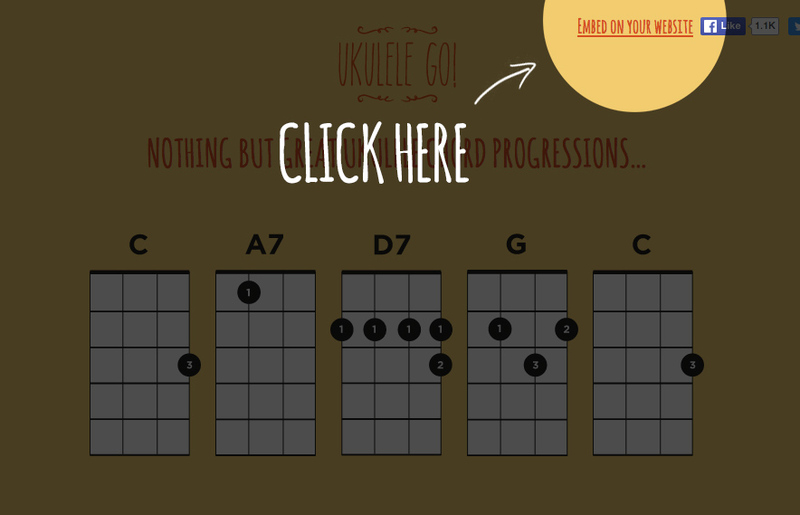 Since launching both tools I’ve been contacted by ukulele groups and teachers that have mentioned that they’ve used them in sessions so it made sense to add the functionality in to allow them to be easily distributed to your class or group. You’ll find a link in the top right corner of each page (next to the Facebook button) that will open a box with some code in it. 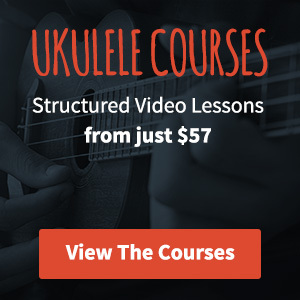 You simply need to copy this code and paste it wherever you normally add content to your website (this can differ depending on what system your website is built upon). In some instances (WordPress in particular) you may need to switch to a code view to do this. This mode is sometimes represented with an icon like this </>. That should be all you need to do to get it up and running. If you’re having any trouble then please drop me an email and I’ll do my best to help you.